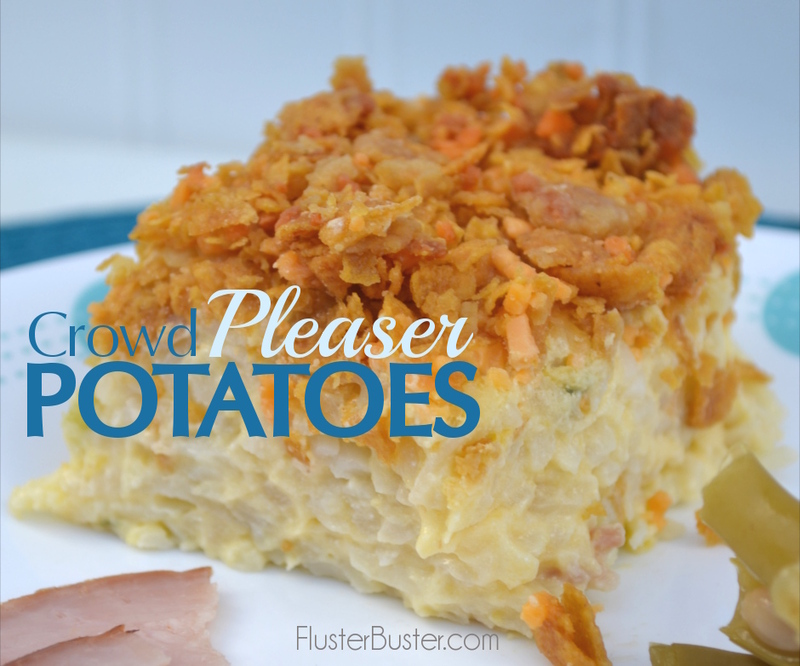 If your looking for simple recipes that will WOW people at Easter, then you’ll want to add Crowd Pleaser Potatoes to your menu. They are the perfect side dish for any menu, they can be served for breakfast, brunch, dinner or even a pot-luck. What makes them perfect isn’t just how versatile they are, but how simple they are, they can be made the day before, using basic ingredients, then popped into the oven before serving, saving you time in the kitchen. Be warned though, if you serve them, be sure to have copies of the recipe, you’ll be asked. Did you take on the task of cooking for a large group? If you’re a caterer, no problem, you have hired help. The rest of us, however, don’t have the help, we’re responsible for it all. We create the menu, shop for the food, prepare the food, serve the food, and do the clean up. Sometimes we get a little help but the majority of it falls on us. The work starts days before actually getting into the kitchen. Finalizing the guest list, planning the menu, cleaning, decorations, it’s a lot. If you haven’t planned well you end up spending all of your time in the kitchen missing out on all of the fun that you’ve created. I have to say, I’ve hosted many events where I was stuck in the kitchen, mainly because of the menus I created. I used to create the menus based around vanity not practicality. My focus was showing everyone what a wonderful cook I was, which caused me to miss out on a lot. Creating a practical menu, for a large group, is the key to spending time with your guests instead of in the kitchen. Choosing simple recipes that use only a few, easy to find ingredients, that can be made ahead of time, and ones that can be cooked in bulk will have you enjoying the fun instead of just creating it. 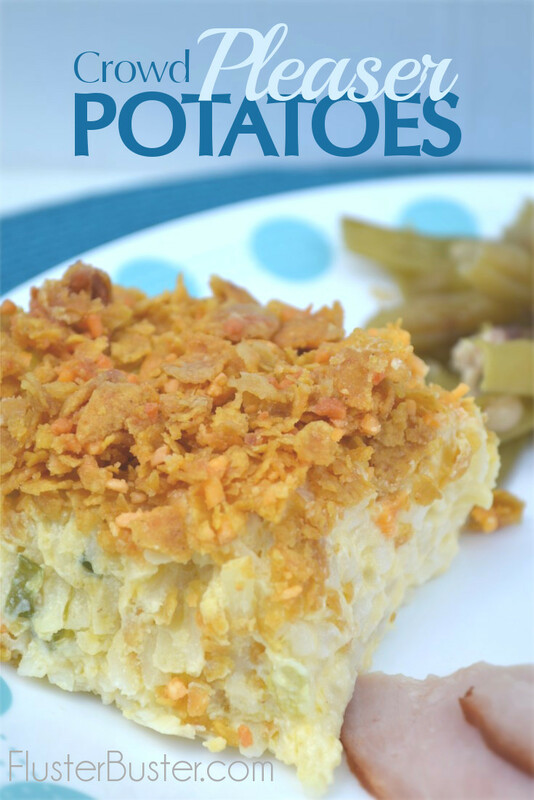 One of our families most requested dishes for large get together’s is Crowd Pleaser Potatoes. Whatever the occasion you will always find this dish, I can’t remember a time we haven’t been asked to bring it. The best part about it being a favorite, is that it’s super easy and cheap to make, plus there’s never any leftovers to lug home. A simple recipe, using simple ingredients that can be prepared ahead of time and served as a side dish for breakfast, brunch, dinner or potlucks. Preheat oven to 350°. Coat a 9"x13" pan with cooking spray. In sauce pan, over medium heat, melt butter. Add soup, sour cream, salt and pepper, 1 cup of cheese, stir until cheese is melted. Place hash browns and onions in a large bowl. Add the soup mixture and stir to combine. Place in pan. In a ziploc bag, add the remaining cheese and cornflakes, crush the cornflakes while combining with the cheese. Sprinkle the cornflakes/cheese mixture on top of the potatoes. To reduce the frustration of cooking for a large group, remember to create a menu using simple recipes that use a few simple ingredients, that can be made a head of time and that you can cook in bulk. Then sit back and enjoy your time with family and friends because the works done. What is your favorite dish to serve at large gatherings? These look really yummy and I love that the prep time is 1o minutes. Yummy and Easy. That’s my style. Thank you so much for sharing this with us Sitting Among Friends. I hope we see more posts in the future.